Each trellis panel is 6ft (1.83m) wide and then varying heights. The gap size is approximately 25mm (1′). 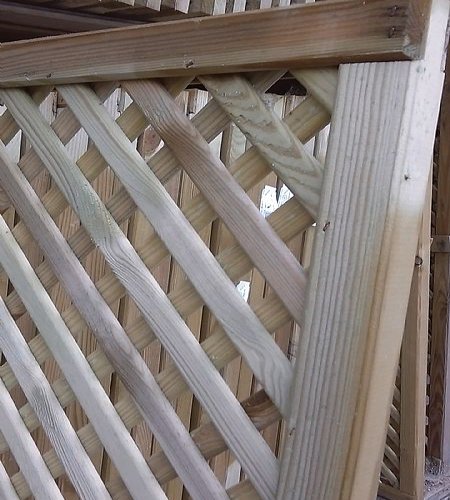 This trellis is made from a prepared (smooth) batten with rounded edges, framed in a rebated section and pinned together. This trellis is perfect for giving privacy and screening however, still allowing light to pass through. It is also suitable to support the growth of plants and is strong enough the support its own weight.